Summertime and picnics are a perfect pairing, especially when craft beer is on the menu. 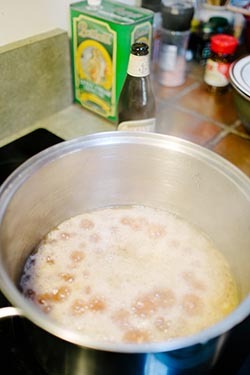 When the beer is one of the ingredients, you’ve got a recipe for a tasty summer treat. We’ve teamed up with Chef Kenneth Hernandez again this summer to create some fun recipes for guests to enjoy with their picnics at San Francisco’s Stern Grove Festival. Only Sunday, July 10, we’re proud to host the first of two Gourmet Picnic Contests from 12:30 to 1:30 pm at the concert meadow at Sigmund Stern Grove just before the San Francisco Symphony fills the air with summer sounds from 2 to 4 pm. 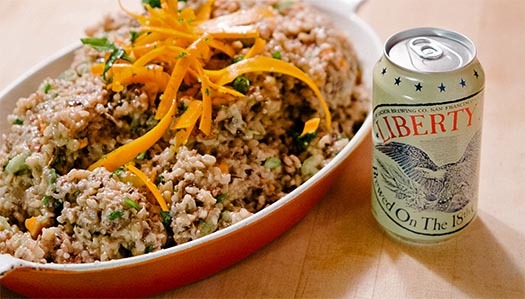 The first of Chef Hernandez’ culinary creations for this summer is a cold wild rice made with Liberty Ale, which makes a delicious addition to your Stern Grove spread, or to any summer picnic.